This week was pretty busy! It was al about fairies! Photo that gave me idea to make such house one day popped out on Pinterest. Fell in love with the houses this young woman is making/creating. 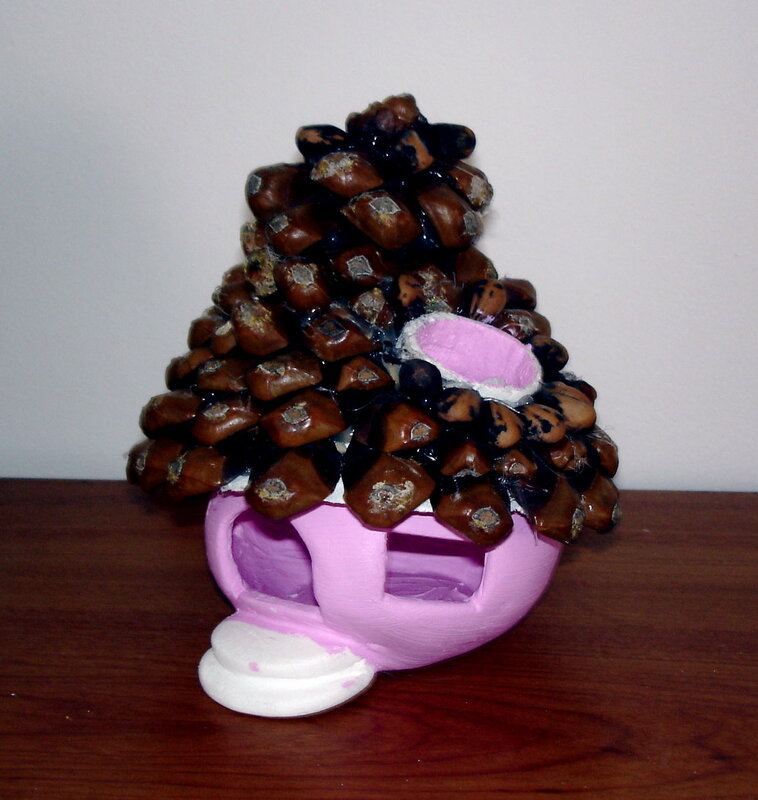 Here is the link to her beautifully fairy house. You should go and see how wonderful work she is doing! Here is the house I have been working on. Construction of the house is made in paper clay. Have the roof done, and walls are painted so far. Now have small work in polymer clay to do. Windows, doors decorations such as flowers… I am planning on making the house door movable, so my nice can open and sneak peak inside to look for the fairies; will try to make few pieces of furniture to decorate inside as well. This will keep me busy for the next few days, maybe whole next week, depending how well my fingers will listen my creative mind 😀 Will make sure to take the photo of the house when completely finished. Here are the photos of what I have done so far. Still lots of work to do…. 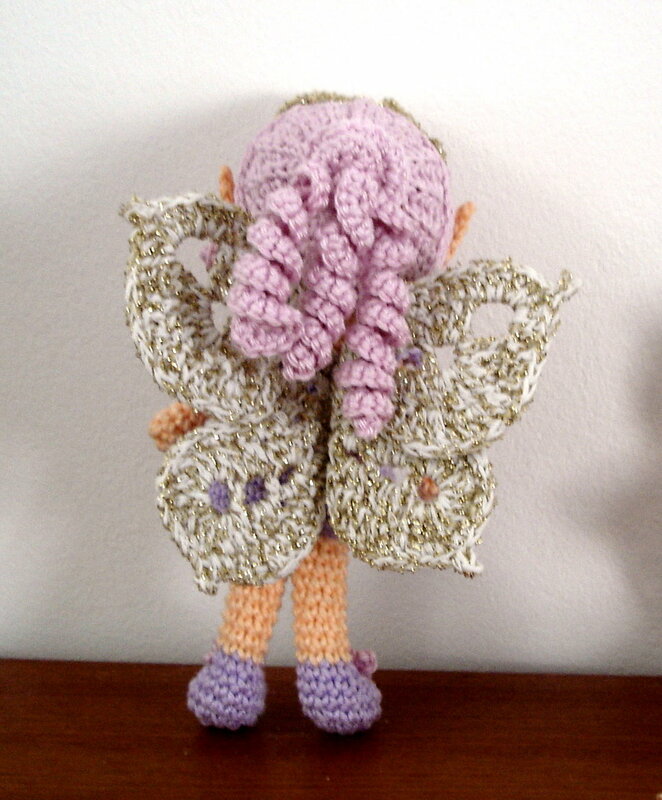 Speaking of fairies… making this little house, and me loving fairies and fantasy, I tried to make a little fairy doll. The biggest problem was finding suitable wings to fit the fairy. Not to small, not to big, not to difficult, not to simple….ahhh….. what problems …..
Today I am not going to talk about the pattern. Didn’t have time to write it all down for you to try to make the fairy doll. It is the hair that need lots of explaining(s). 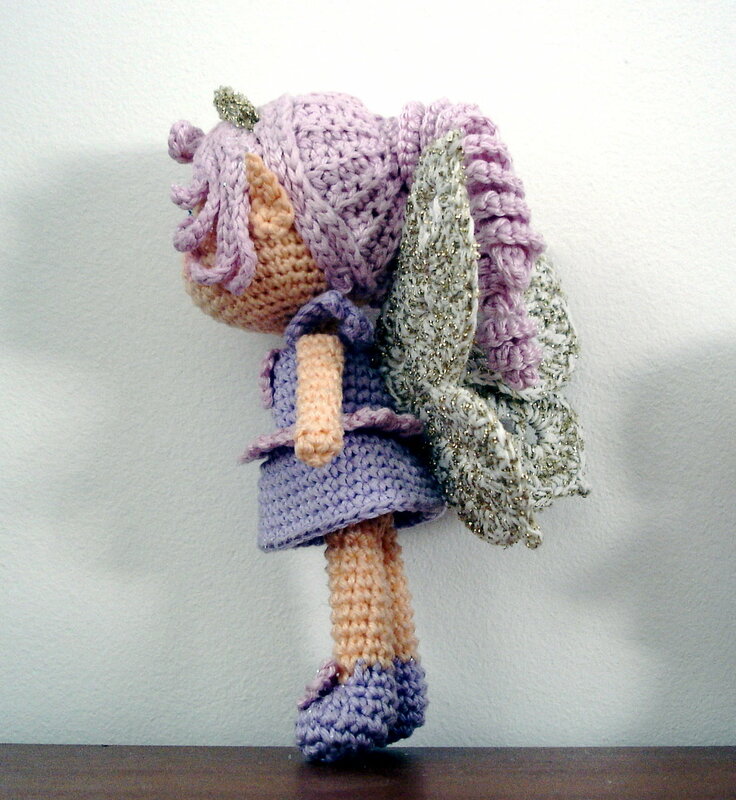 Aha…before I continue talking, let me show you few photographs of this Fairy Doll I have made. Doll is same size as BB Dolls. Changed the head shape and made arms little bit longer. Dress is different (this one is cut in waist – but again easy to make). Hair is not so difficult to make even though it looks pretty complicated wrapped here and there. It can’t bee seen on the photos well, but hair is done in two pieces. Back with pony tail, and front with bangs and side hairs to fill al the gaps around ears. Aha, this doll has the ears! 😀 Elvish ones!!! Did try making tiny fairy as well. You can see her on photo below. Size smaller than little Karla doll. Here she is compared to finished fairy. The head in front of the dolls is new airy I am working on. Hope you enjoyed these little fairies and their stories! As a mater of fact I have prepared two patterns for you that am sure you will enjoy very much. Both are fast and easy to make. Outcome is amazing! 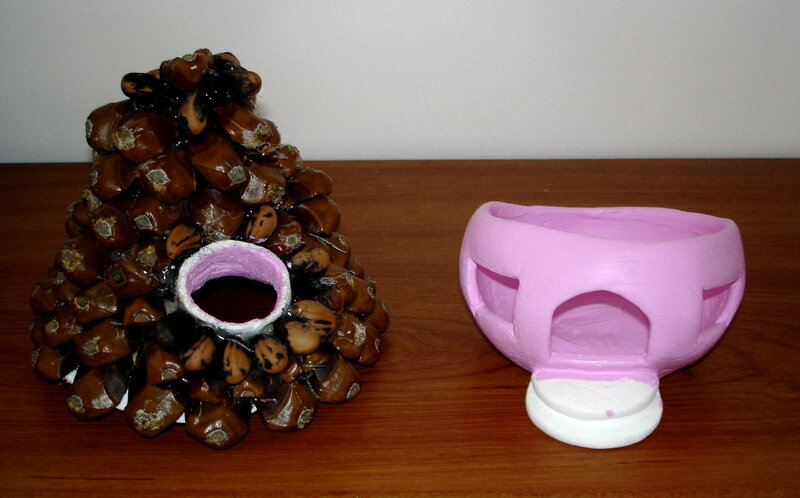 You will have lots of fun making them and I am sure will find someone to make a nice gift to! First one comes from dear blogger friend Sharon and her Gentlestitches.com. She has created this little Koala that I have made and love it. 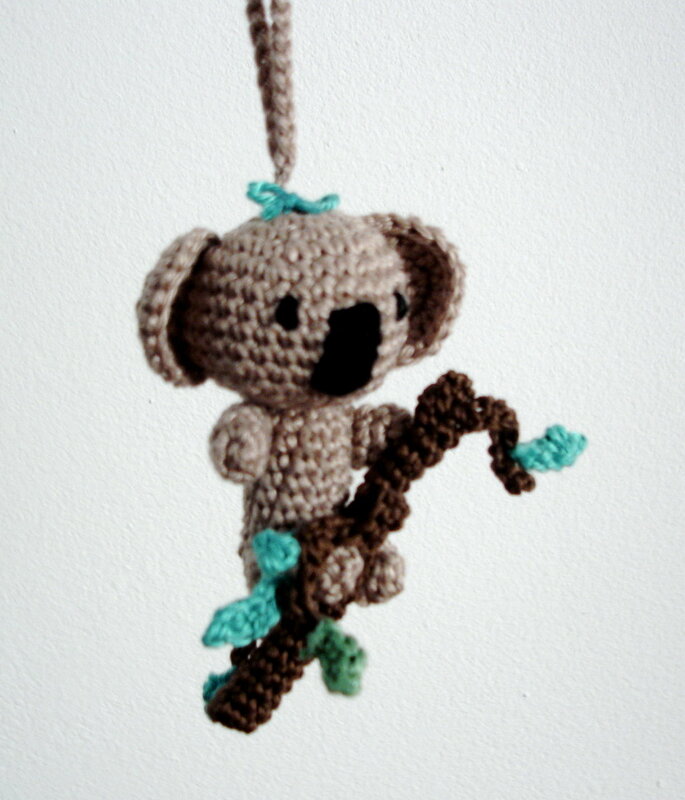 I have added the branch and made Koala as a keychain. My Koala ended up about 6-7 cm high what made him just perfect for a keychain. Is really so adorable. I didn’t have safety nose to put it on, so I sewed, embroidered one instead. So did with the eyes. Photo is not the best one (but again, when did you see any of my photographs turning out perfect 😉 ). This is my MEAP made following the Jennifer’s pattern! She has got this great, great idea on making the wheels! You should try it! Wishing you all wonderful and peaceful weekend. The cuteness in this post is overwhelming! I’m reading it at work during my lunch and just made noises no grow adult who is in charge of things and supposed to be extremely responsible should make. I love, love, love your fairy & fairy house! And she’s PURPLE! Don’t even get me started on her hair and ears! Pure joy. I have to go back to being serious in my cubicle now. Thanks for this post, it will keep my smiling the rest of the workday. Glad she made you smile! Just love your little fairy. She is so cute. Well done. 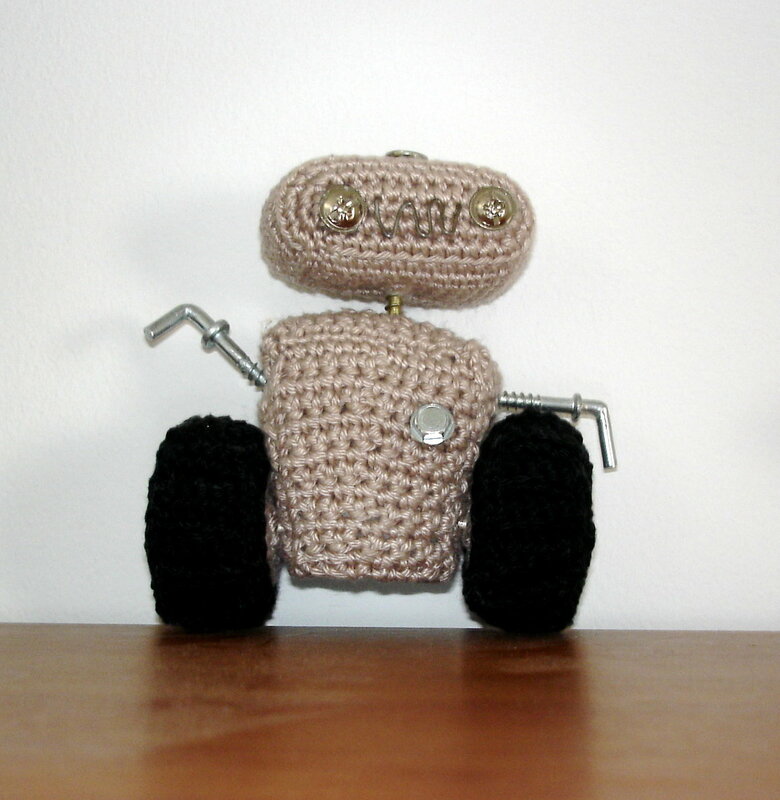 You have heard of “The Three Amigos” well this post reblogged from AmigurumiBBs Blog contains patterns from Vanja, Jennifer and Sharon. “The Three Amigurumists”! Yay! “The Three Amigurumists” made me smile. So honored to be associated with such talented ladies. Much love to you both! You gals never told me there was a third amigo! Awesome work, Vanja! I have long been an admirer of Sharon’s and Jennifer’s work, and am glad to have been introduced to your blog! The pleasure is all mine to be placed together with two of you talented ladies. Thank you both for wonderful patterns and wonderful time I had making dolls out of them! Your Koala is my key keeper these days, and as it looks will be making some more for the same purpose 😀 Once again, thank you very much for making this pattern available! MEAP….oh yes..when I saw it went crazy! It is just super adorable! Fairy…..it was so much fun making one. 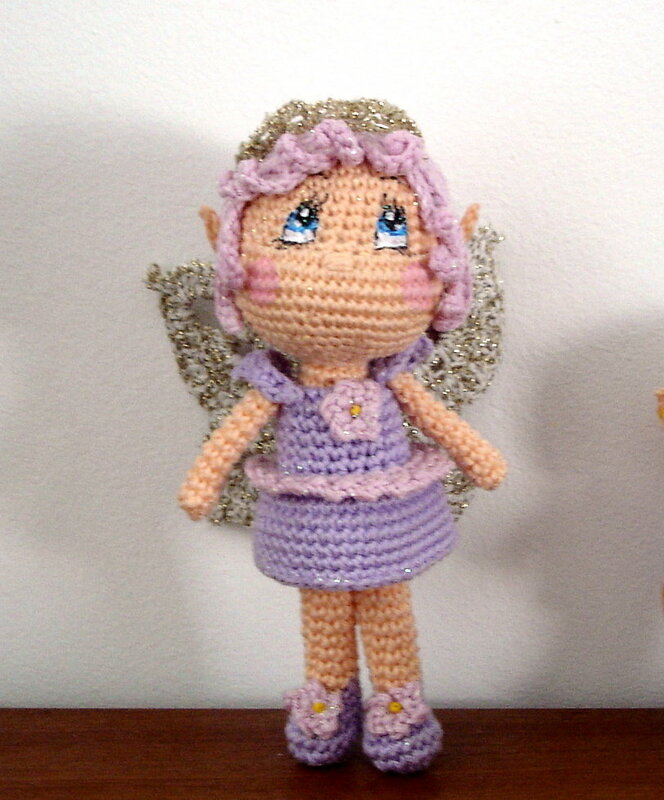 I love making dolls, but fairy was really special experience.